Palestine: Did Nazi Apartheid Wall Really Stop Suicide Bombings? 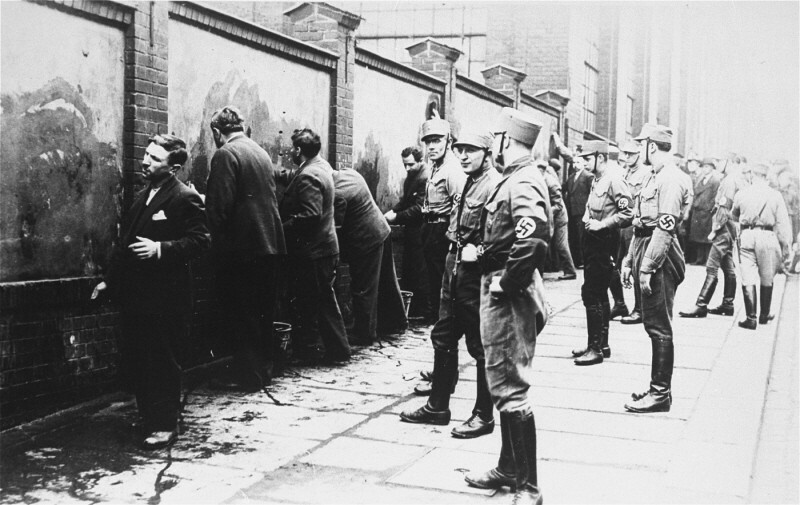 Posted in Palestine Affairs, ZIO-NAZIComments Off on Palestine: Did Nazi Apartheid Wall Really Stop Suicide Bombings? That’s the only place in that version where the word Ioudaiosis rightly translated as Judeaninstead of the conspicuous word Jew. 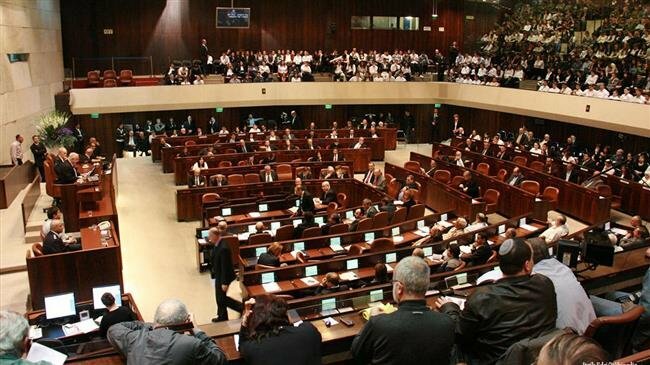 The dissolution of the Knesset, unanimously agreed on by the heads of the coalition parties and approved by the Knesset, was expected, for since the second half of 2018 there was growing talk of it. As for the new election set date, 9/4/2019, it is not considered too early, since it is seven months ahead of schedule. Firstly, these calls for early elections were to Prime Minister Netanyahu a lifeline to escape the tightening noose of three corruption cases against him, which were recommended by the police and awaiting the State Prosecutor’s Office’s decision on indictments. 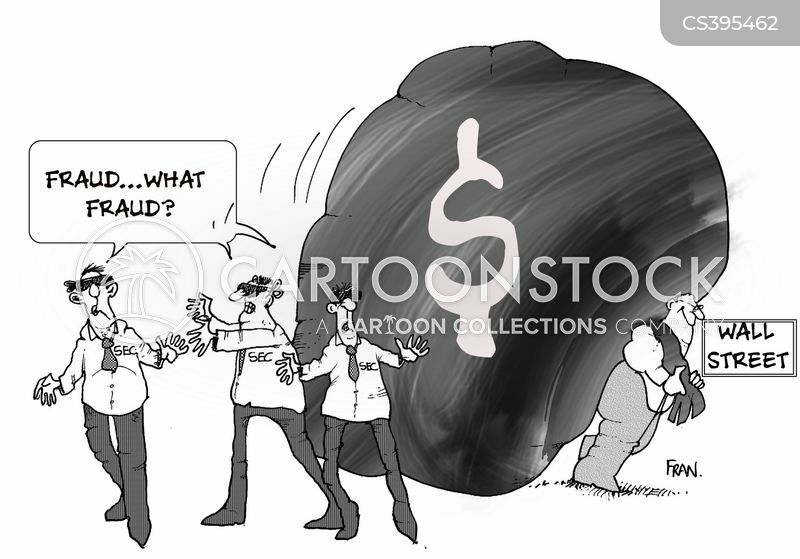 He was charged with taking bribes, fraud and breach of trust. For, after the calls for early elections, it will be difficult for Attorney General (AG) Avichai Mendelblit to indict Netanyahu, so that these charges would not be a key player in the election campaign of political forces. That’s why the AG’s close circles said that he would postpone his decision on the corruption probes against Netanyahu. Nevertheless, there are calls contending that reluctant Mendelblit must make the effort to conclude work on those cases before the elections, so the public could be informed before placing their ballots. Secondly, the calls for early elections may lead to further postponement of the release of the US peace plan, known as the “deal of the century.” For even if there were the “best possible deal” for a peace settlement, Netanyahu doesn’t wish to pay the entitlements of the Israeli side, especially in light of his alliances with the right-wing pro-settlement extremists, who are ready to bring down the government. Thirdly, early elections have constituted an escape for Netanyahu’s coalition, which has been on the brink of collapse due to a dispute over legislation aimed at drafting ultra-Orthodox Jews into the Israeli military. The Shas party and the Degel Hatorah faction within the United Torah Judaism (UTJ) party are backing the bill and have reportedly said they will leave the government if the bill doesn’t pass, while UTJ’s Agudat Yisrael faction says exactly the opposite, threatening to leave if it does. Netanyahu does not fear early elections, for it seems that it will grant him a chance to re-establish a better political position. Israeli opinion polls still expect the right-wing Likud to finish far ahead of its electoral rivals. It is expected to win 30 seats, while the center-left Zionist Union, which currently is the second largest Knesset faction at 24 seats, could fall to 9 seats. As for Yesh Atid (lit. There is a Future), it will lose one third of its seats (From 18 to 12 seats). However, the alliance between the new party formed by former Defense Minister Moshe Ya‘alon (Telem) and the party of former chief of staff Benny Gantz (Hosen L’Israel or Israel Resilience) is expected to win 14 seats, while the rest of the parties will not be far from their former positions. In general, Israeli society is still leaning toward right-wing and religious extremism, which is consistent with the Likud’s line. This will facilitate for Netanyahu forming the next government with a majority of 63 seats, in alliance with right-wing and religious parties. Netanyahu is running this election without a real rival to Israeli leadership, and perhaps he is also the only candidate for prime minister, which would enable him to form the next government without any real obstacles. Also, Netanyahu runs for these elections, after he had managed over the past years to expand the political and social base of the right-wing parties, made changes in the Israeli elites in a way that serves these parties, and dominated cultural and academic circles, whereas Israeli media became more inclined to the right and extremism. As for the Israeli left, it is currently experiencing unprecedented fragmentation and decay, as a matter of fact, the left itself took the form of the “right,” on the “left of the right”!! The next elections will draw a new political map that grants new weights to different parties, thus enabling Netanyahu to update his government formation, curb his political opponents, especially if he were able to include the new players (Gantz and Ya‘alon). This way, Netanyahu will have his fifth chance to form the government, and to become Israel’s longest-serving prime minister. 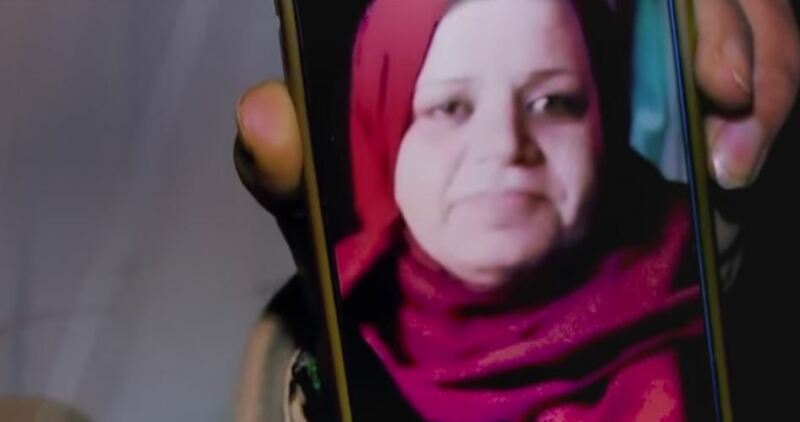 For 42 weeks, Amal al-Taramsi had never stopped participating in the March of Return rallies on the Gaza border, hoping to return one day to Hirbiya, her native village, but an Israeli sniper suddenly deprived her of achieving that and cold-bloodedly shot her dead on January 11, 2016. Taramsi, 45, was about 250 meters away from the Israeli security fence, east of Gaza City, when a malicious sniper bullet penetrated her head; she is considered the first March of Return martyr during the new year, 2019. She is also the third Palestinian woman killed since the start of the March of Return rallies. However, her departure has been very painful for her family and friends who always supported her participation in the March of Return protests. Among those who is still grieving over the martyr’s absence is her lifelong friend, Rida Mushtahi, who became unable to take part in the protests after she was shot by an Israeli soldier in one of her feet. Mushtahi cried her eyes out as she was talking about the last moments with Taramsi and how she went to al-Shifa Hospital in a wheelchair because of her injury after hearing about the heartrending news of her friend’s death. In her talk to the Palestinian Information Center (PIC), Mushtahi said that the Palestinian women in Gaza would remain steadfast and continue to participate in the March of Return protests despite their exposure to deliberate targeting by the Israeli occupation forces. “They want to punish the women for their participation in the March of Return rallies and dissuade them from taking part in them, but we declare that we will continue to participate in the protests and we will forcibly extract our rights,” she said. She asserted that Taramsi had never been absent from the March of Return rallies since March 30 when the first border protest kicked off. On the day of her death, she told her brother, Khaled, with a smile on her face that she was going out to obtain her martyrdom when he just woke up and asked her where she was going. Her brother described his sister as “the pillar of the house” which the family lost, affirming that the entire family is very proud of her and her courage. “Amal was the second mother to us [in the house] and she was the main supporter for our sick mother,” he said. For more than nine months, Palestinians in the besieged Gaza Strip have protested along the fence with Israel demanding their right to return to the homes and land their families were expelled from 70 years ago, and an end to the blockade . Since the protests began on March 30, 2018, the Israeli occupation forces have killed at least 260 Palestinians in Gaza and wounded more than 22,000 people, according to health officials in Gaza. The families residing in the Karam al-Ja’ouni neighborhood north of the occupied city of Jerusalem continue to resist the policy of the Israeli occupation and its unjust courts, which support settlement associations that are trying to expel them from their land and homes which they have been living in following their displacement from the city of Jaffa in 1948. Legal resistance that lasted for more than ten years at courts was accompanied by a sit-in and peaceful demonstration, to face the displacement and expulsion; with settlement associations failing to claim ownership of the land on which the houses of Karam al-Ja’ouni were built. 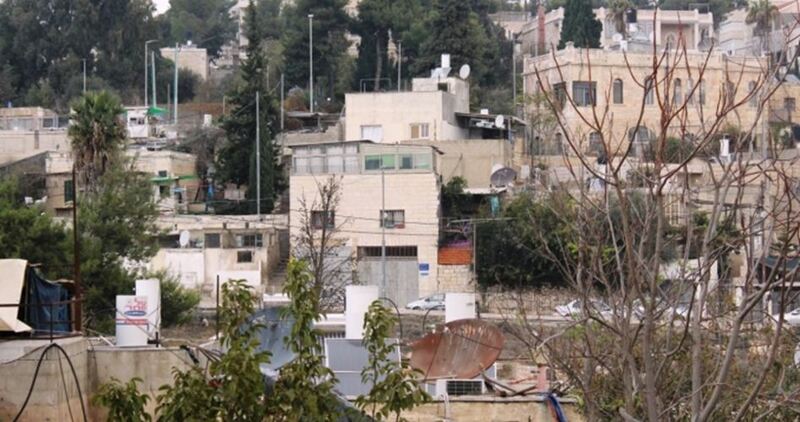 More than 100 Palestinian families live in Karam al-Ja’ouni, in the Sheikh Jarrah neighborhood, north of Jerusalem. They live on an 18-dunum plot of land that includes 29 buildings, which the Israeli occupation is planning to evacuate to build housing units for Jewish settlers as part of the largest uprooting and displacement project in the holy city since 1967. For two decades, the owners of the houses at Karam al-Ja’ouni fought legal battles at Israeli courts to stop their expulsion, but Israeli courts ended up ruling in favor of the settlement associations after submitting documents claiming ownership of the land. Mohammed al-Sabbagh, the owner of a 5-storey house, lives with his five brothers. He was ordered by the Israeli occupation authorities (IOA) to evacuate his house within a specified period of time, and 50 members of his family are under the threat of displacement in the coming days. In an interview with the Palestinian Information Center, al-Sabbagh expressed his fear that the threats of the occupation authorities and the settlement organizations to evacuate his house will make them experience what happened in 2008-2009 again, when the IOA made several families from the neighborhood homeless. “We continue resisting Israeli decisions and rejecting Israeli settlements,” he said. “These are our rights and we will not relinquish them. We call for intensifying local and Arab solidarity with us to stand up to the Israeli decisions,” he noted. 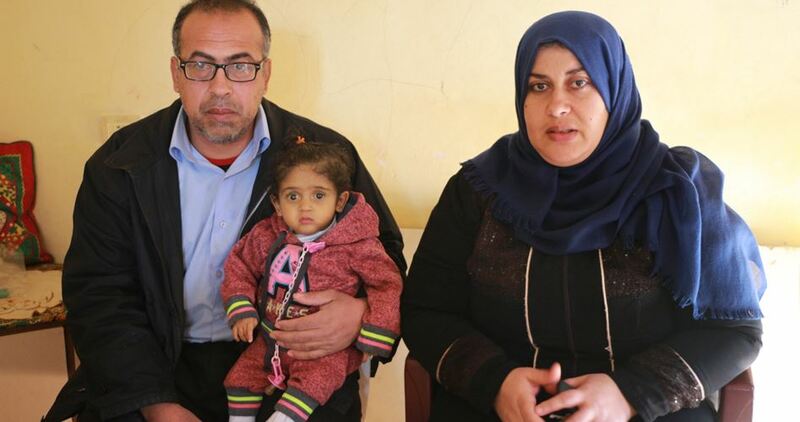 As for Um Mohammed al-Sabbagh, and her five children, who live in the same house, they feel worried as implementation of Israeli threats is approaching. They asserted their inability to leave the house or secure another one, either by rent or purchase. On the details of the case, lawyer Husni Abu Hussein, the head of the defense team for Karam al-Ja’ouni neighborhood in Jerusalem and the lawyer of al-Sabbagh family, said that he has papers and documents confirming the nullity of the claims of the settlement associations in their ownership of land and houses in Karam al-Ja’ouni neighborhood. In an interview with the Palestinian Information Center, Abu Hussein said that the papers owned by the Eastern Jews and West Bank settlement associations were forged and incorrect. “The papers are completely false and are not related to their homes or the lands of the neighborhood,” Abu Hussein said. He revealed that the decision of the Action and Implementation Unit at the Israeli court to evacuate the house where al-Sabbagh family lives, by the twenty-third of this month has been frozen till the 16th of February. “At this point, there is no decision to evacuate al-Sabbagh or any other family, but there are about 10 cases in the Israeli Magistrate’s Court which might face possible eviction,” he said. 1- Ending Israeli occupation and colonization of all Arab lands and dismantling the Apartheid Wall. 2- Recognizing the fundamental rights of the Arab-Palestinian citizens of Israel to full equality. 3- Respecting, protecting and promoting the rights of Palestinian refugees to return to their homes and properties as stipulated in United Nations Resolution 194.